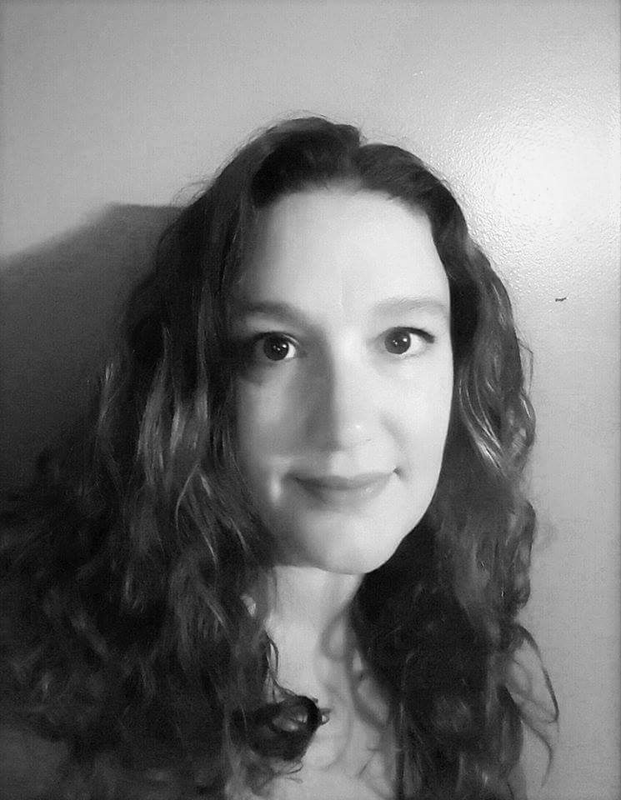 With every flake of snow that falls, Scott and Maria O’Loughlin are treasuring each individual moment with their three boys home under the same roof once again. Cooper O’Loughlin has had a hard year. Home from his latest deployment, the Army Special Forces soldier is looking forward to Christmas with his wife and family. If only he could shake the feeling something had changed while he was away. 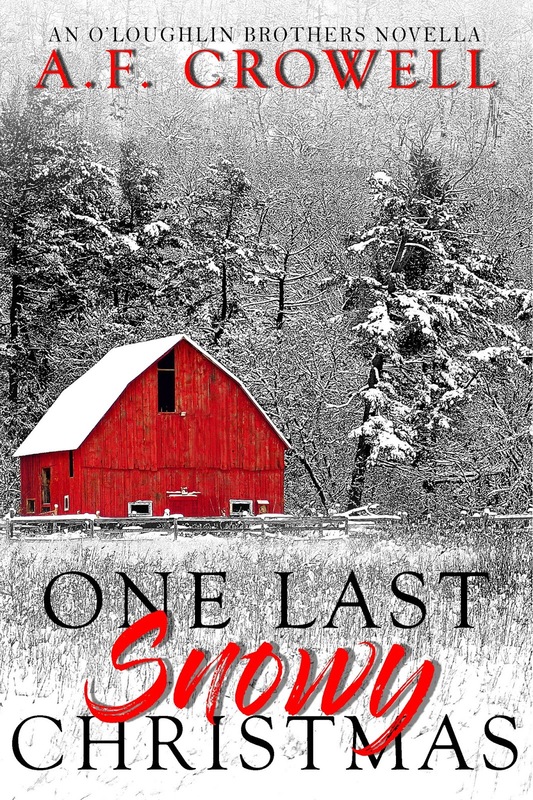 Storm O’Loughlin left home with a purpose,- only to return for holidays and not to look back. While catching up with old friends, in walked the woman who used to be the center of every fantasy he ever had. He has one week to make her his or walk away for good this time. Ashton O’Loughlin might have been the youngest brother, but he was growing up and ready to take on life. 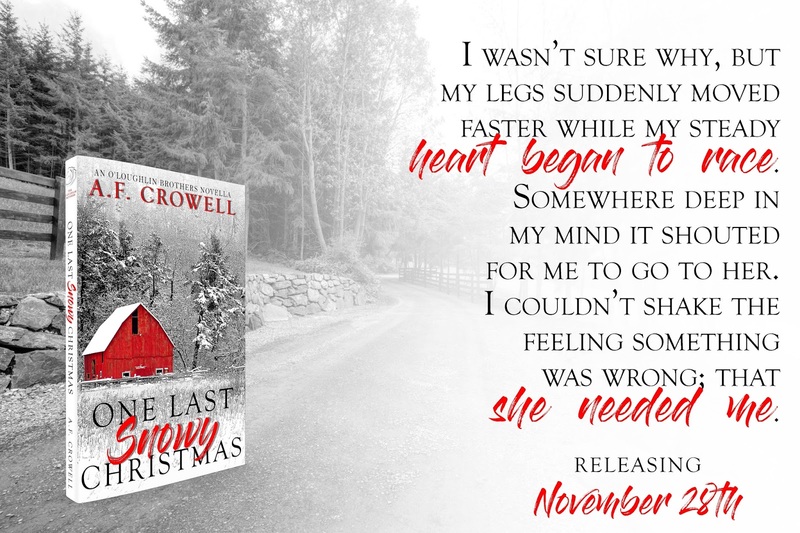 With this last Christmas before graduating high school, he knew this was his final opportunity to make his move on the girl next door – who happened to be his very best friend. 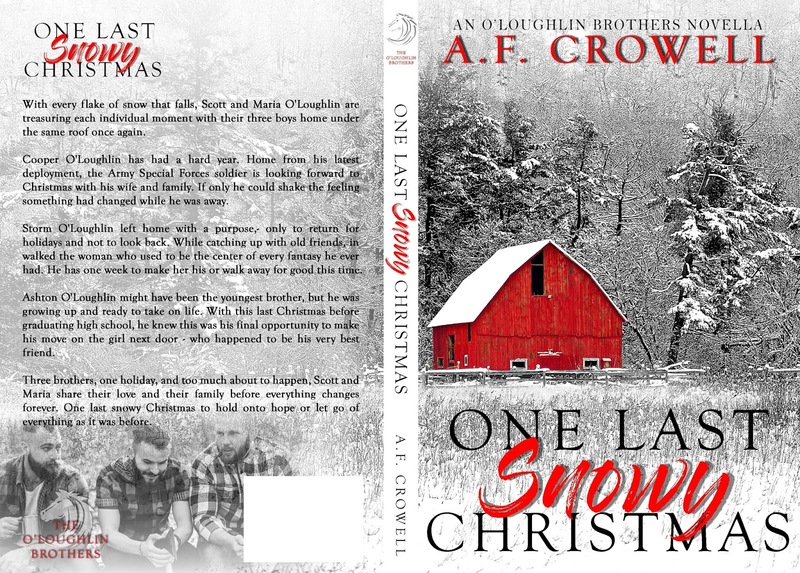 Three brothers, one holiday, and too much about to happen, Scott and Maria share their love and their family before everything changes forever. One last snowy Christmas to hold onto hope or let go of everything as it was before. Posted on 28/11/2017, in Authors & Books, Blitz, Blurb, New Releases, Review to Come, Still to read, Teaser. Bookmark the permalink. Leave a comment.